The Vertical Wall-Mount system is a low profile solution for edge computing, and all building network needs. The 8RU version sits a mere 18" off the wall while still allowing installation of equipment in excess of 30" deep. When customized with many of the optional accessories, The Vertical Wall-Mount system can accomodate many complete computing combinations. The Vertical Wall-Mount system is easy to configure, integrate, and install. With a UL2416 certified load rating of 150 lbs, it can handle the most dense configurations possible. The split door design allows for user access at the top, while protecting critical equipment behind the front door. 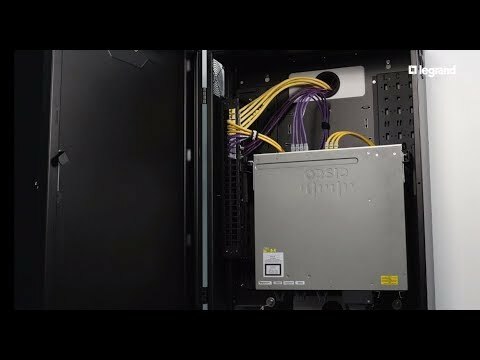 Mounting of small routers, hubs, and computers that are non rack mountable is also simplified with the optional patented Lever Lock equipment panels.